This section just applies to the conditions which the ECU triggers the fuel pump between the high and low setting. 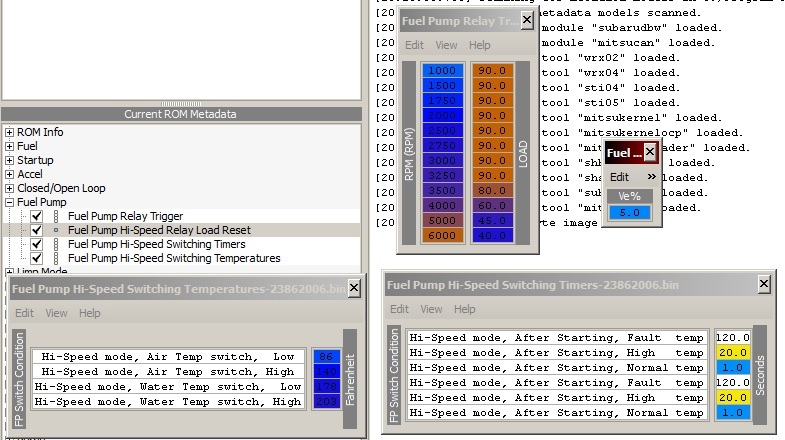 It’s starts as a simple 2D table based off engine load and RPM. The Load Reset table is just to switch back to low when the ECU doesn’t detect a change in load anymore. I threw the operation comments into the tables. As it turns out, the fuel pump is switched to high mode after you first start the car and stays there for a set time after startup. I was surprised to find that the ECU also keeps it switched into high mode while coolant temps > 203 degF and air intake temps > 140 degF.